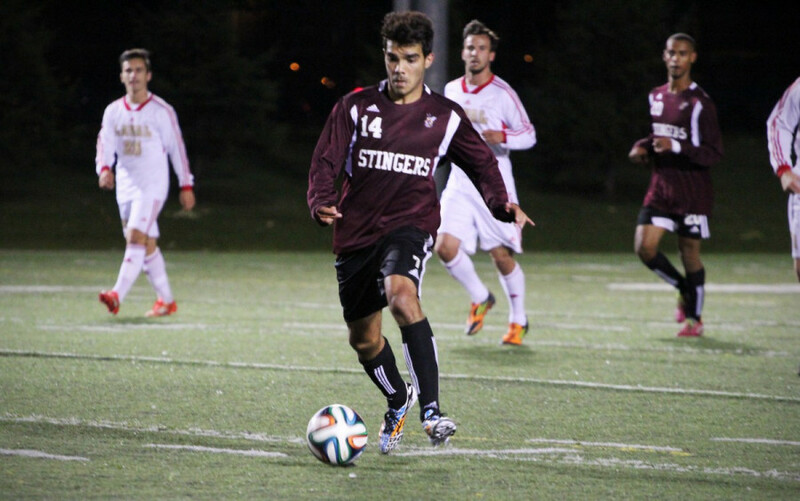 The Concordia Stingers men’s soccer team was left disappointed once more, and still without a win on the season, following their 3-0 loss to the UQAM Citadins. Forced to defend their net early on in the game, the players held out throughout the first half. Many inconsistent calls were made by the referee but that didn’t stop the Stingers from putting pressure on the Citadins. The Stingers had several opportunities come their way, but their efforts were not able to get them on the board. As the referee blew the whistle, the Stingers walked off the field, trailing by one point – a goal scored by the Citadins in the 39th minute. The second half brought more energy. With a strong desire to have a win on their record, the Stingers put more pressure on the Citadins. Though the Citadins were able to get two more goals pass the Stingers strong defense, midfielder Matt Deziel believes his team did everything they could. “We gave it everything we had for our last home game,” he said. The final score at the end of the game was 3-0 for the Citadins with goals coming from Simon-pierre Côté-kougnima, Armel Dagrou and Mohamed Saidi. With three games left to play, and still tied for last place in the Réseau du sport étudiant du Québec standings with the Université de Sherbrooke Vert et Or, the Stingers will continue the fight for their first win on Sunday afternoon at Sherbrooke.